Gather ’round, boys and girls. We’re going to have some fun today, because we have a very special guest with us! She’s going to watch as we continue to learn how to cook just like Mother! Because that’s what we all want to do, right? Oh, and look … here is our special guest! 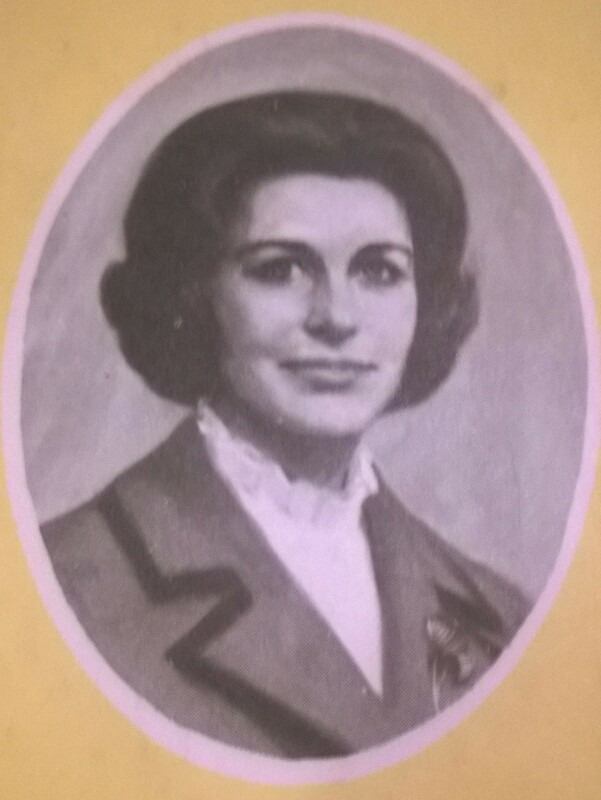 Say hello to Betty Crocker, circa 1973. Hello Betty! Johnny, one mustn’t scream like that when someone enters the room. Say you’re sorry to Ms. Crocker. You can sit to the left there, Ms. Crocker. You’ll be able to keep a careful eye on everyone, and I’m sure all the boys and girls will find that very comforting. 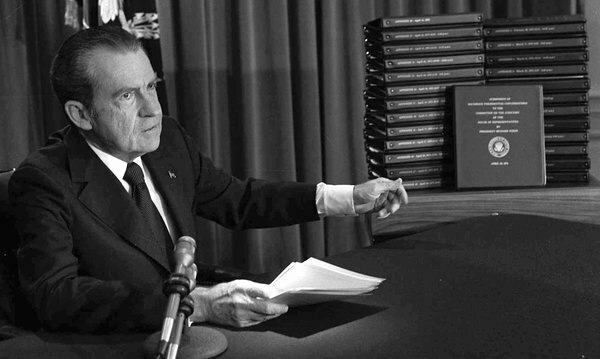 Now, children, please get out your cookbooks. I hope you all remembered … oh dear. You didn’t bring your cookbook with you? Well, never mind. Here, you can use mine. Just please don’t spill anything on it, okay? The current spills will one day be carbon dated and we don’t want to throw off their findings. 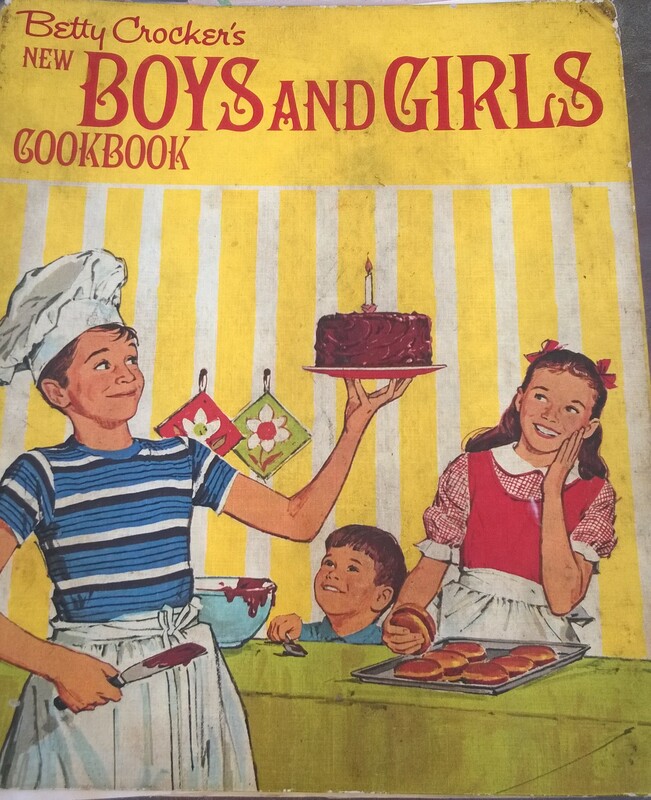 Now Ms. Crocker very kindly updated her Boy’s and Girl’s Cookbook from 1957 so it would be exactly what our modern children of 1973 would want. Isn’t that grand? So let’s get started with learning how to cook! Ricky, what are you looking at? What do you have? … Ricky! We’ve talked about this before. Put that picture away. Yes, I can see it’s not her swimsuit photo, but that doesn’t make any difference. Ms. Crocker doesn’t want to see one of her junior cooks with a photo like that! I’m going to pretend you didn’t say that Ricky. 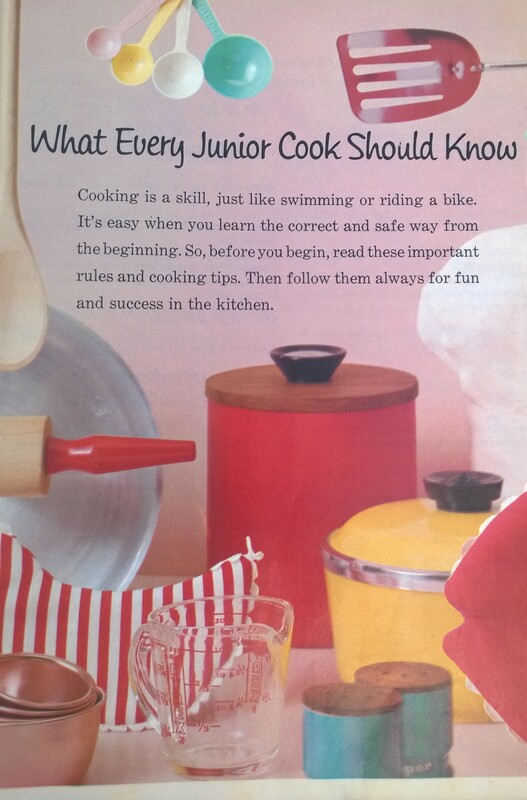 Everyone open up your book to the first chapter: What Every Junior Cook Should Know. Joan, how about you read the first section? 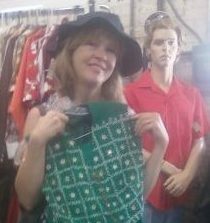 Choose a time to suit your mother, so you won’t be in her way. Be sure to wash your hands. What’s that Mary-Sarah? Well, I’m sure your Mother has an apron somewhere you can use, doesn’t she? Oh. Well, maybe your Grandmother then. Michael, please turn off the television set and pay attention. There isn’t anything important happening right now that we need to hear. Especially as we’re about to learn our table manners! Okay, who wants to read this time? Alpha … is that really your name? You don’t happen to have a younger brother named Omega? Oh, you do? Well, isn’t that … special. Alpha dear, please read the section titled, Good Manners at Mealtime. “Being polite and considerate is always important. Use your company manners every day. Mealtime is happier for everybody when you remember these rules. Wait to begin eating until Mother is seated and all the family has been served. With your knife, cut food into bite-sized pieces, one at a time, to eat it. Break bread or roll into pieces and butter each one as you eat it. Oh, Ms. Crocker, please don’t leave! We haven’t gotten to the recipe yet! Oh, and look, Sandra wants to tell you her absolute favorite thing she learned from this class. Go ahead, Sandra. Tell Ms. Crocker what you learned. Ms. Crocker? … where did she go? Oh, dear. Well boys and girls, it looks like we’re on our own again. 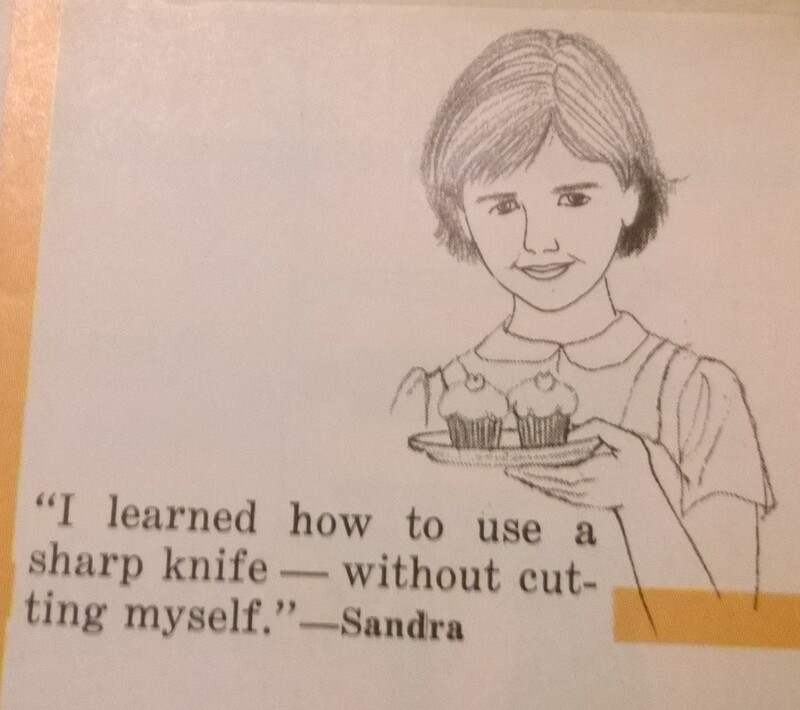 Sandra, put the knife down. This recipe is adapted from Betty Crocker’s New Boy’s and Girl’s Cookbook, published in 1973. The dish was my Mom’s favorite, so much so that she had me prepare it nearly every week. Truthfully, I’m not sure if she really loved the recipe or just loved someone else doing the cooking, but there you go. My modernized version doesn’t include canned soup. The 70s were all about canned soup. Saute the chopped peppers & onion in one tablespoon of olive oil, until tender. Add garlic last. Stir in tomatoes, broth or water, and seasonings. Heat to boiling, then turn down heat and simmer sauce, stirring occasionally. While sauce cooks, make meatballs: Beat egg in a bowl, add remaining ingredients and stir well. Shape meat into balls about the size of ping-pong balls. 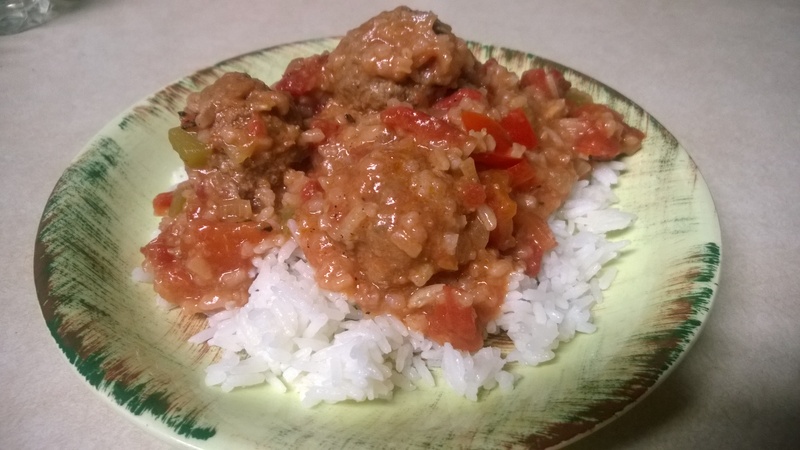 Drop balls into simmering sauce and cook slowly about 40 minutes, until meatballs are cooked through and the sauce is slightly thickened. Serve with mashed potatoes, noodles or rice. I love old cookbooks! They’re such a great glimpse into what life was like, or in some cases, how we wanted it to be. Oh my God! Reading this post reminds me of the good old days. Come to think of it, whatever happened to my Betty Crocker’s cooking book? Great post. I love it! I have this cookbook on my shelf! It has a lot of splatters and stains on it and as I have gotten older I certainly have not gotten any neater in cooking. Fun post! I loved that cookbook so much when I was a kid! I think I read it cover to cover several times. It’s pretty much falling apart now, but I know I’ll never let go of it.